Now this title is solid. Absolutely stunning game with some great mechanics and characters! The weapons are good overall. A couple of sniper rifles, SMG's, lever-action rifles, flamethrowers, grenade-launchers, bows and a lot more! Sounds are amazing! weapons sound heavy and punchy. The story is okay, nothing special. Overall this is a great game, the DLC;s are overpriced at the moment IMO, so just wait for a sale! 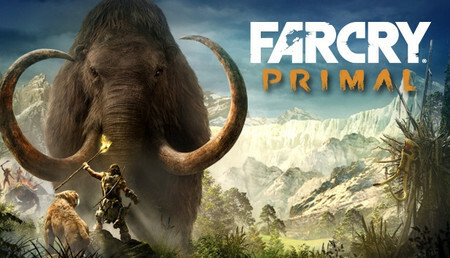 Game has nice graphics but the overall it's just repeating over and over...Its always doing the same thing in all of the zones and the ending is horrible wouldn't recommend buying it.Completed the game 100%.Multiplayer is enjoyable but gets bored pretty fast.Buy yourself something else! 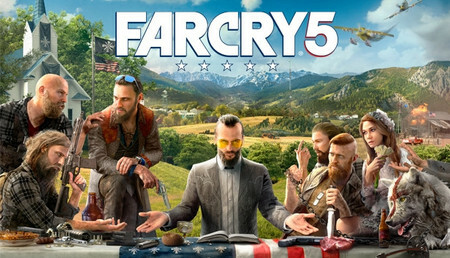 Tato hra je zatím velmi dobře hodnocena, a jako každá hra Far Cry je na místě pozitivního komentáře. big disappointment. 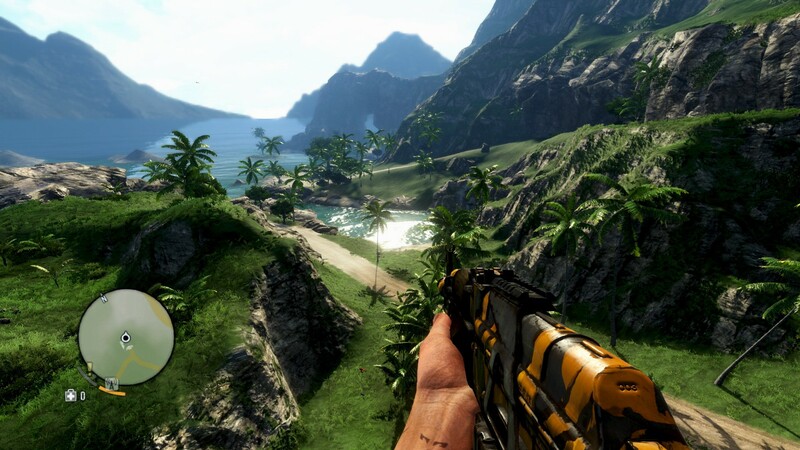 I loved far cry 3 and 4. 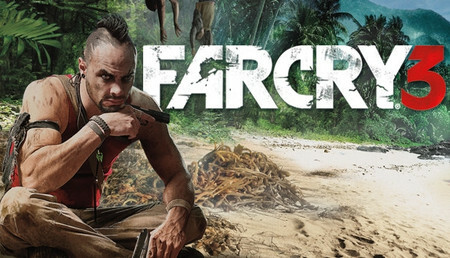 This far cry doesnt really have a real story. The game is not too bad, but with expectations and the price the product should be better. The world is boring too compared to 3 and 4. First, it's the same game as Far Cry 4.. The thing i've hated in the 4 are back in the 5. 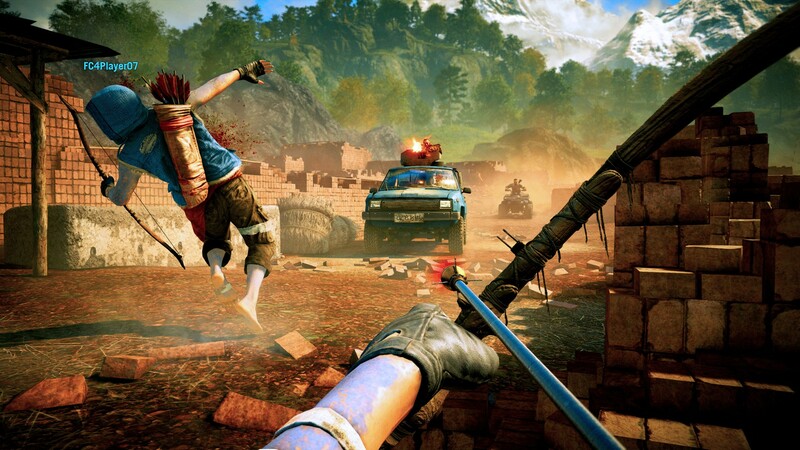 Too long mission in some sorts of "slow motion" (same as when you took drugs in Far Cry 4) that are very boring. Too much useless side mission that seems the same as the Far Cry 4, just to add some gaming times. Good game, but some this reply previous missions. Probablement l'un des meilleurs jeux Far Cry que j'ai jamais eu. Je veux dire ... dans ce jeu tu peux faire tout ce que tu veux. On dirait que la limite est votre immagination. Une note négative, cependant, est l'IA "stupide", mais je suppose que comme un style de jeu "loup solitaire" n'est pas vraiment un problème Ecellent jeux rien a dire . We bought the game with my cousin mainly for the co-op mode. Well The co-op mechanism is a joke. If you are the host then only the achievements and stuff like that gets saved for the other player, and the mission progress will be saved only in your account, so from then on you must be the host, otherwise the progress will be lost. It's messed up. The way ubisoft handled co-op mission progress in Ghost Recon: Wildlands was way better. I have no idea why they didn't use the working method. Graphics is okay, nothing special, aspects of it looks/feels worse than in previous FC games, the physics and environmental interaction was better in FC2! The main storyline gives me no reason to play. Oh and when the game decides that you must progress in the story then you'll progress, because you have no choice. You walk on a hillside, trying to do whatever, and then comes the loading screen and the mandatory story mission. Not kidding. It can be fun at times, but it's repetitive, and the faults in the game mechanism prevent you to get carried away. Could have been a good game, but it's okay at most as it is. Very pleased with this game! i wanted to buy this game as soon as i saw it , but i didn't have the money i don't have a job right now so i need to rely on my parents money but they didn't want to buy it for me afer a few weeks of waiting i finally had enough money and im very happy with the service of instant gaming! Probably one of the best Far Cry game I ever had. I mean...in this game you can do everything you want. It feels like that the limit is your immagination. One negative note though, is the "dumb" A.I, but I guess as a "lone wolf" playing style isn't that much of a problem. 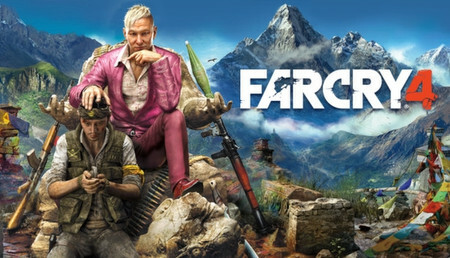 Veramente bello.Mantiene le caratteristiche di Farcry snellendo di molto le meccaniche di gioco.Graficamente ottimizzato benissimo.Spero che come per il Primal facciano uscire le texture HD perche' giocando sopra al 2k quelle del gioco non sono proprio bellissime.Per il resto gioco top! jeux magnifique, avec une histoire prenante et pleine de retournement. Mais les quêtes annexes restent redondantes. Ce jeux vaut le coup. En prenant mon temps mais en ne finissant pas tout j'ai du jouer environ une quarantaine d'heure. 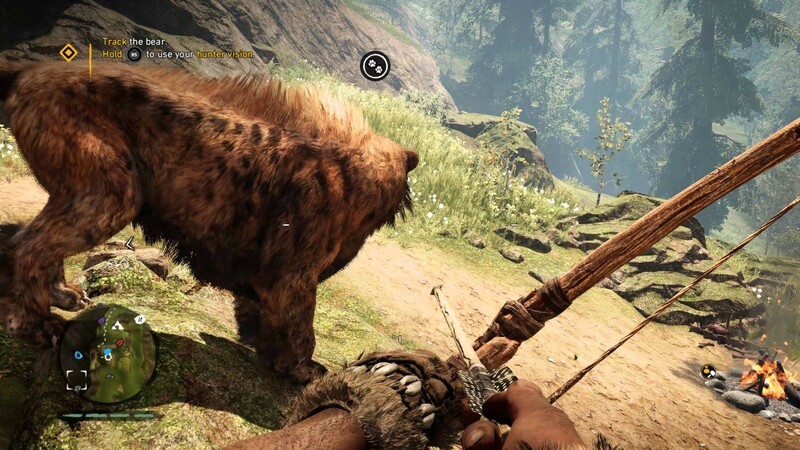 Muito bom, horas de diversão garantida, gráficos bons, como é habitual na série Far Cry temos sempre muito por onde nos entreter, quer no mapa quer com a história quer com os veículos quer em free roam. ....Euh... Que dire sur ce jeu a part que c'est le plus mauvais de la série. Je pense que Ubisoft atteint les sommet de la connerie avec ce jeu. quasiment pas de nouveauté, le reste c'est du recycler sur les autre jeux. 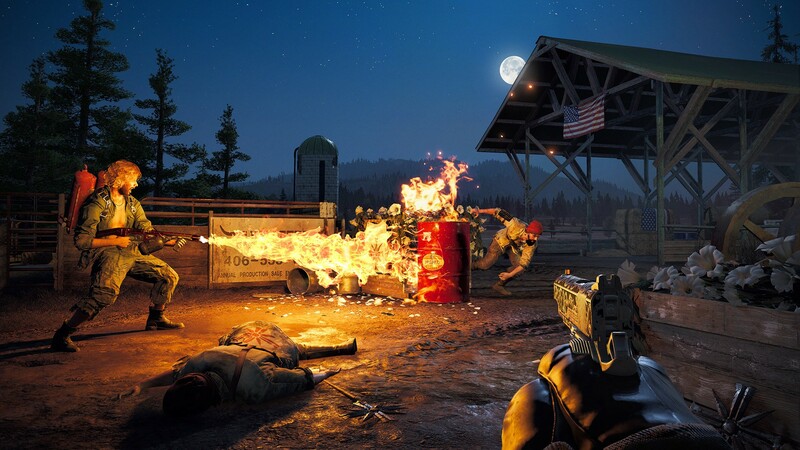 Pour moi j'ai l'impression de jouer a Ghost Recon Wildland constamment en 1ere Personne, et encore GRW est mieux que FC5. Les DLC sont nul, pas intéressant. DLC les plys pourris de l'histoire du jeux vidéos. Le jeu est beau, le jeu est varié, les graphismes sont beau et l'univers est très grand. Malheureusement l'IA n'est pas fort intelligent et immersion n'est pas totale. D'accord, tu prends ou tu ne prends pas mais on n'aide pas a sombrer dans le jeu. 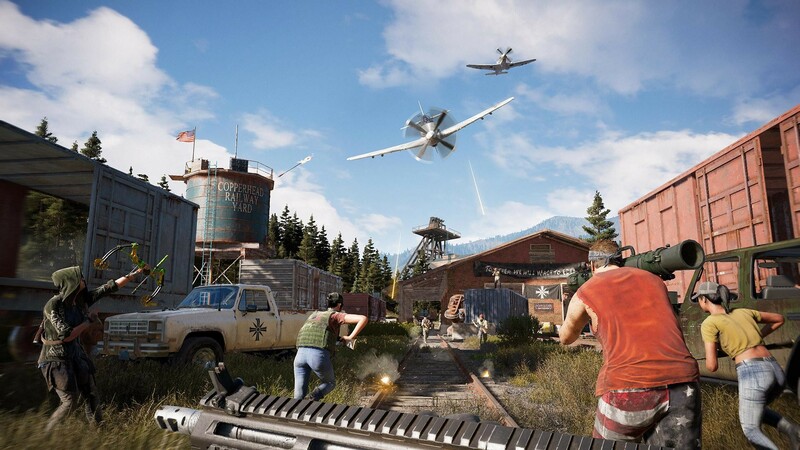 Sigue la esencia de FarCry, mapa abierto, vehículos terrestres-aéreos-marítimos, caza, misiones... Etc. Personalmente creo que la historia es malísima y aburrida, el personaje principal no tiene ni nombre, ni historia ni nada, las físicas del juego son peores que en ediciones pasadas, aunque aun así se ve bien, ya cada uno tiene su propia crítica, buena o mala, pero a mi... con sus cosas buenas y sus cosas malas me ha hecho pasar cuantas horas entretenidas, si lo hubiera comprado recién estrenado a un precio caro me hubiera llevado un chasco, pero lo compré a la mitad de precio y así vale la pena. Otra opinión personal son los infames DLC, para jugarlo al 100% tienes que compralos y por ahí no paso, además, ya viene la opción de micropagos en el juego, son solamente skins de ropa, armas o de vehículos. Vous êtes contre les armes? ici pas le choix il vous en faudra ! Map gigantesque et ennemis parfois pas trop bête, une bande son bluegrass/gospel qui ravira vos expériences de jeu !